If you like to add multiple links on single image for that you have to create HTML image map. Creating image map is not a easy task you should know some calculations and html fluently. 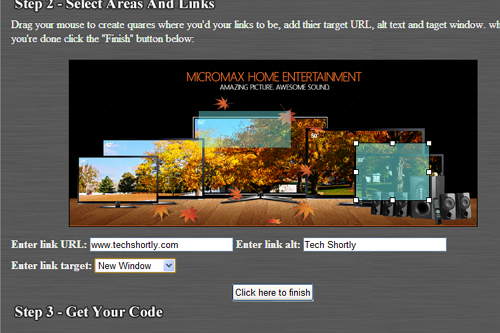 But here the simple tool called HTML Map Creator it creates HTML image map easily without knowing any technical skill. Then press Click here to finish button and gives HTML coding copy that coding and paste it your HTML page. That's all by this way you can create multiple links on single image easily. thanks for sharing a such great information . it will helps us nicely . your content is so helpful and useful for me .